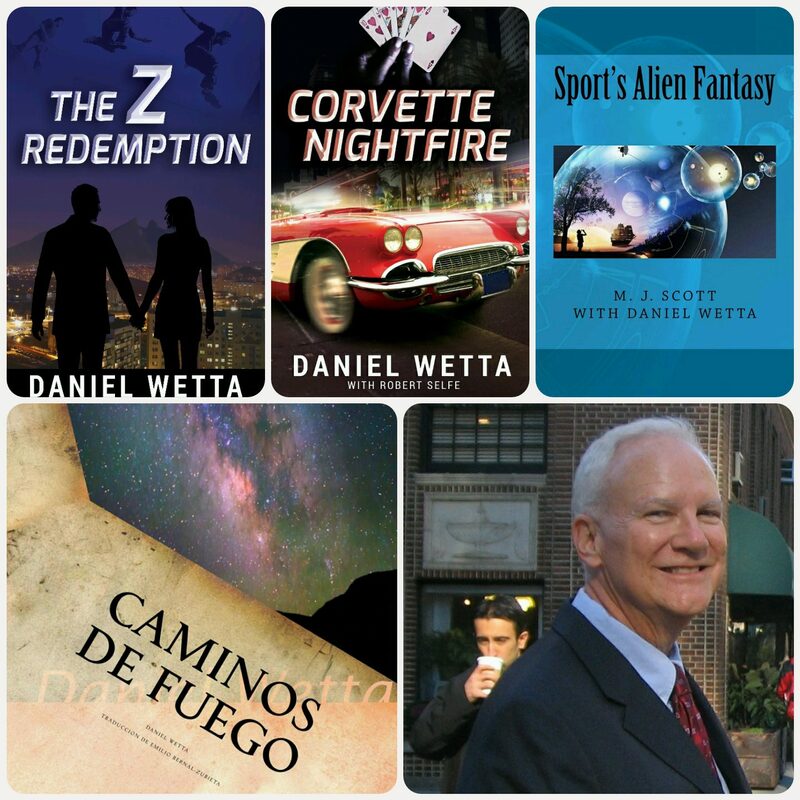 Daniel Wetta Publishing Features 87 y.o. Artist Dan Wetta’s Seven Volumes of Art! Eighty-seven-old lifetime artist, Dan Wetta, a career accountant who lived a different life through his art, shares his dreams and unique vision of the world in his seven-volume series, El Artista: A Lifetime of Curiosity. Originally from New Orleans, the artist spent high school and community college years in St. Joseph’s Seminary in rural Louisiana in the 1940s. He continued college education at night while married and raising a family in Richmond, Virginia. Over the years, the artist took art classes and private lessons and exhibited his work in many public showings, including exhibiting in The Virginia Museum of Fine Arts. His works, in oil, acrylics, pen, pencil, crayon, watercolor, doodles and cartoons, encompass a vast variety of themes, laced with humor, satire, spirituality, and immense respect for life. Some of these volumes illustrate the artist’s reflections on the conflict between science and religious teachings, and,notably, the history of the Jews as recorded in the Old Testament. Some emphasize his humorous characterization of animal life, such as lions, tigers, and cows, while others colorfully express mystical emotions of birds. Every volume has explanations and history of the art work within. The artist provides colorful anecdotes and recollections of times and events long past, yet he himself has lived a resilient life, adapting to the sweeping technological and sociological changes of the twentieth and twenty-first centuries. The artist is making available for acquisition,by a gallery or private collector,the entire collection of his original art and cartoons, his work of a lifetime, in one complete set. Almost all are illustrated in this series of volumes, El Artista: A Lifetime of Curiosity. For further information, contact (son) Daniel Wetta at cursillo86@gmail.com.